Designer Sue Di Chio brought her A-game. It might not be scheduled to showcase at Mercedes-Benz Fashion Week Swim 2015, but that hasn't stopped Zimmermann from getting in on the celebrations. 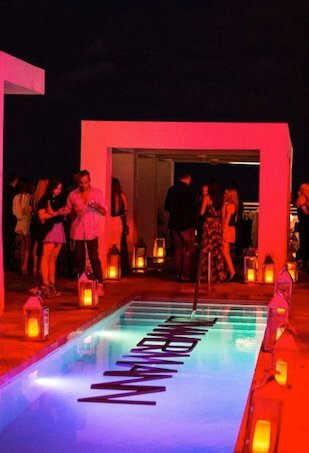 The Fashion Spot's style editor, Sharon Feiereisen, recently spoke to The Pulse Network about last week's Miami Fashion Week Swim. Sharon highlights her favorite swim looks from the runway and gives the scoop on where to eat, shop, and spa in South Beach. Things heat up with late night runway shows and flashy events. The Fashion Spot's editor-at-large spends a week surrounded by beautiful people and beautiful design in South Beach.